One summer Saturday 8 or 9 years ago, I visited the Old Rectory Museum in Loughborough’s Rectory Place and chatted with a kindly and very knowledgeable gentleman about local history. He told me of the slums which had once stood not a stone’s throw away from the Museum, cheek-by-jowl with All Saints’ Parish Church, at one time the most affluent ecclesiastical living in the country. He told me of the ancient artefacts which had been found when those slums were demolished, pots and old shoes and infant skeletons, discovered at the bottom of wells. He was as interested in the human story behind the artefacts as I was and we speculated sadly on the out-dated social conventions which might have caused women to dispose of babies in wells. I asked where I would find more stories about Loughborough’s past and the gentleman told me about Loughborough Archaeological and Historical Society (LAHS) and its programme of winter talks. I mentioned that I’d like to join and – mindful of the Society’s role in having saved the Old Rectory from demolition – that I’d like to take on an ‘active’ role and, perhaps, join the committee. ‘But I don’t have a History qualification,’ I said. ‘You don’t need to have a History qualification,’ he replied, ‘quite a number of our members don’t. History belongs to everyone, you know.’ He was so friendly and encouraging that I joined both the Society and the Committee not long afterwards, where I was made to feel welcome and useful from the very first meeting, and where my own journey into the world of researching local history began. That elderly gentleman, it turned out, was Ian Keil. For quite some time I had no idea who Ian was. I didn’t know he was a well-respected historian and a specialist in medieval history. I didn’t know that he was, in fact, president of the LAHS, as well as chairman of Loughborough Civic Society, a member of the Town Team  and a committee member of the Friends of Charnwood Museum. I wasn’t aware that he had co-created the ‘Exploring Loughborough’ heritage trail, nor that he was co-author of numerous texts on the area’s history, including the ‘Bygone Loughborough in Photographs’ series and the iconic and phenomenally successful ‘Loughborough, Past and Present’ book, published in 1988 by Ladybird and created at Don Wix’s dining table. As a former history teacher at Garendon High School, Don Wix had been collecting local historical information in notebooks for years. He credits Ian with having prompted him to turn the notes from his hobby into texts for sharing with the public. I understand that others had similar experiences. Ian certainly supported my developing interest in local history and I will forever be thankful for the time, information and advice he and Teresa gave me over the historical pieces I wrote for my Master’s degree. I feel very privileged to have had those pockets of time with them both. Ian was unwell in 2012 and by summer it seems he knew he was dying. As well as writing the eulogy for his own funeral, he drafted a piece about himself with Teresa. Typical of Ian’s sense of humour, he gave this the working title ‘Becoming History’. 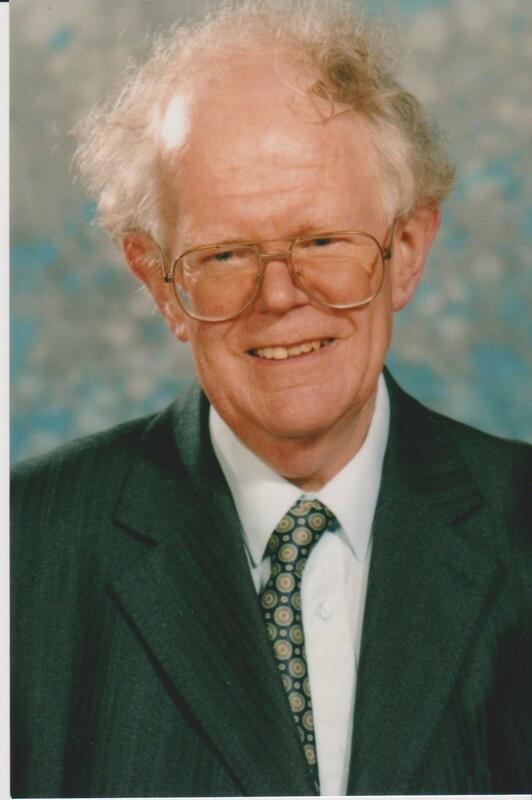 Sadly, Ian passed away 0n 17th October 2012, aged 79. In November 2014 Teresa kindly completed the text for inclusion on this website. She also sought permission for us to use a piece Ian wrote about his childhood for his great-nephew, Trystan. The greater part of Ian’s working life was spent at Loughborough University – joining it as Loughborough College of Technology in 1962 and retiring in 1990. His life, like that of so many others, shows that the history of town and university intertwine in ways which extend far beyond academic endeavor. The University’s history is also that of the men who constructed it, the people who live alongside it, of the men and women who work within it and of the fabric of the town in which it sits. It makes sound sense, therefore, for the University and the local community to come together to preserve their shared history, and it is the intention of the Loughborough History and Heritage Network to do what it can to enable this to happen. 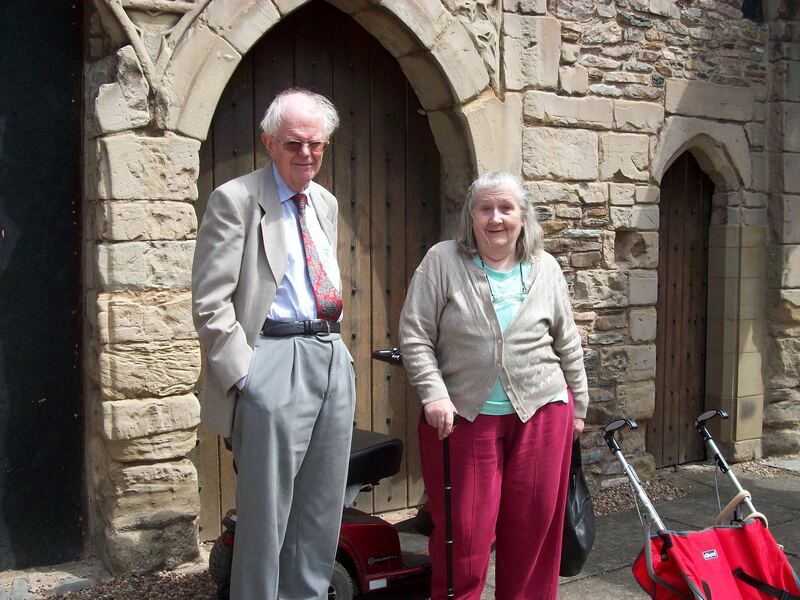 In doing this, we dedicate the project’s website to the memory of Ian Keil and his passion for recording history, as well as to the principles of inclusion and encouragement which he advocated. 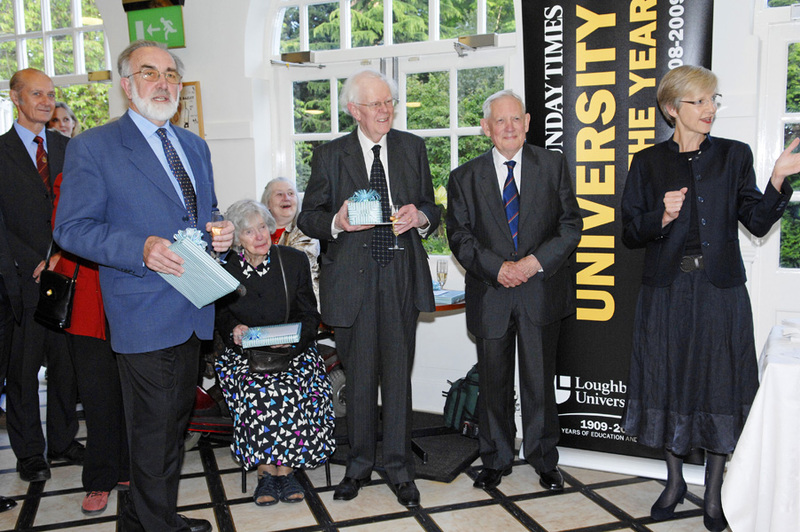 Ian with Ernie Miller, Teresa Keil, Don Wix and Vice Chancellor Shirley Pearce, at the opening of Charnwood Museum’s exhibition of the history of Loughborough University, May 2009. 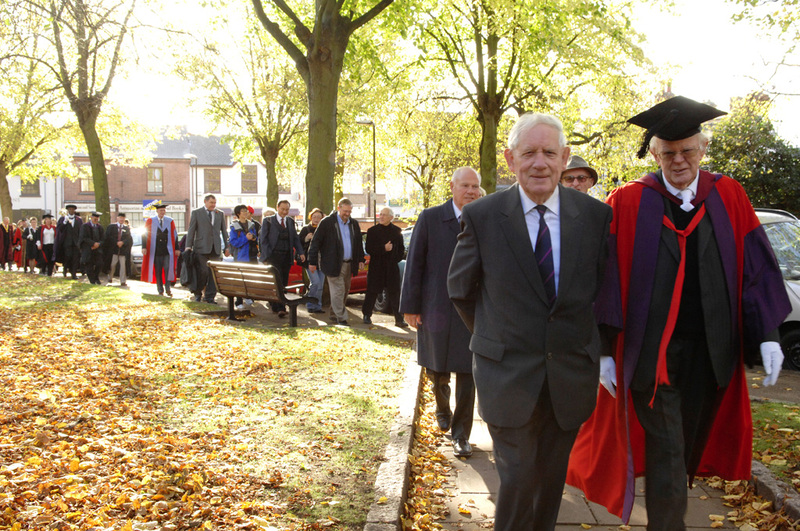 Ian Keil and Don Wix processing to Loughborough Parish Church as part of the College Sunday Centenary celebrations, October 2009. You can find out more about Charnwood Museum’s Centenary Exhibition here and watch a film about the College Sunday Centenary celebrations here.